Today we are going to give you the “skinny” on healthy fats. Are you afraid of fats? Despite the bad wrap that fats have received in the past, it can be as unhealthy to avoid all fats as it is to consume them in large quantities. The percentage of fats a person should consume varies depending on body type and overall goal at any given time. Good fats are defined as naturally occurring and not damaged by high heat, over-processing or refining. Bad fats are damaged fats that have been processed at high heat and have, therefore, become oxidized (vegetable oil, soybean oil, fried foods). The best fats are found in avocados, extra virgin olive oil, nuts, seeds, coconut & virgin coconut oil, pastured butter, pastured eggs, and cold water fish (salmon, sardines, mackerel & halibut). 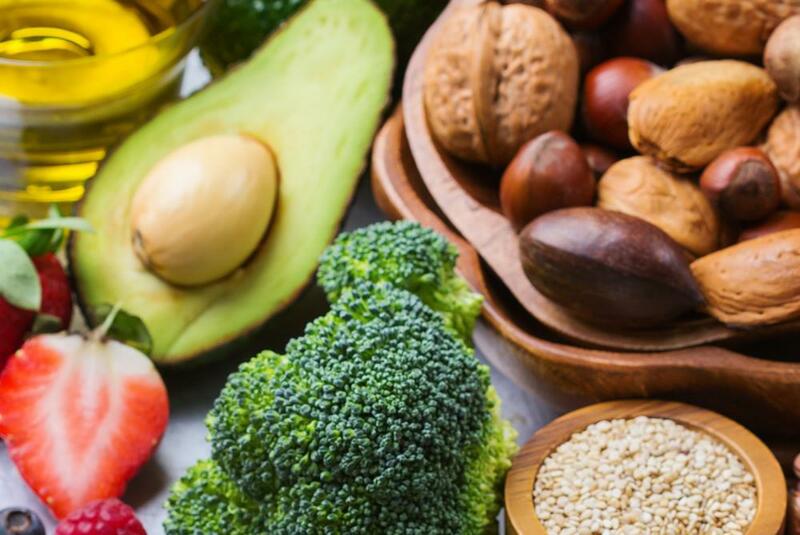 From lowering bad cholesterol and helping shed excess weight to giving you shiny hair and healthy nails, your body will reap the benefits of these healthy fats. They are also essential for brain and cellular health, digestion and nutrient absorption because they nourish the lining of the gut. Add all ingredients in a blender or a food processor. Process and blend until smooth and creamy. Add a little more water, if you prefer it to be a little thinner. Taste for lemon and salt, and add more, if preferred. Use it as a dip for vegetables or as a dressing for salad, or drizzled on top of chicken, beef, or fish.